Never lose your dog in the dark or have near misses with other people cars, bikes and other modes of transport again with this safety collar with 3 function LED lights. Dogs can be very unpredictable at times. With an LED dog collar, other people including vehicles and bikes will see your dog coming from afar when it gets dark. 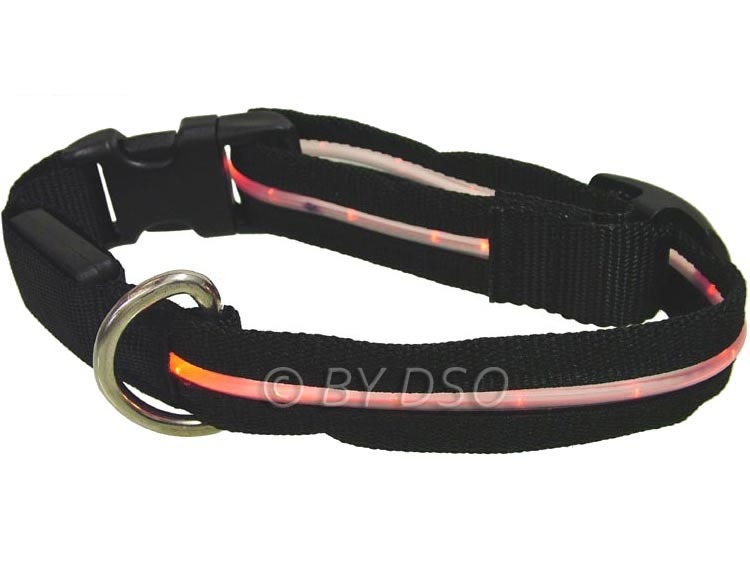 Functions for this dog collar include a slow flash, fast flash and permanently on state. The collar is safe and comfortable for your dog and comes with a sturdy clip to keep the collar around the dogs neck at all times. The collar is fully adjustable from 25 - 50cm to fit most medium sized dogs.